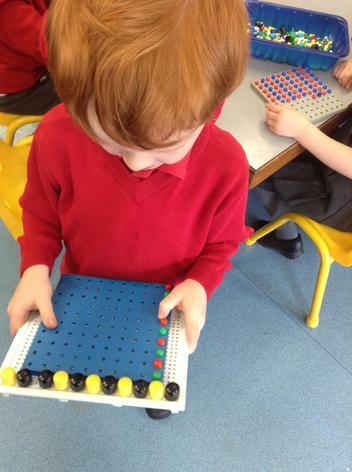 We have been working so hard to learn our numbers especially the numbers 0-20, counting backwards and forwards with our teachers. 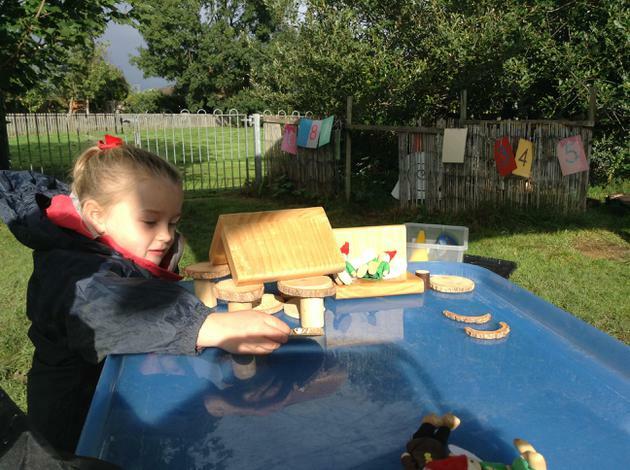 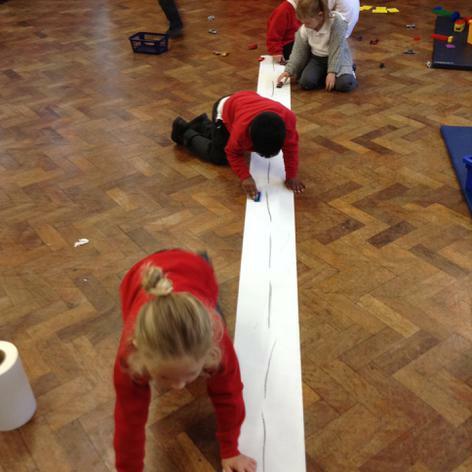 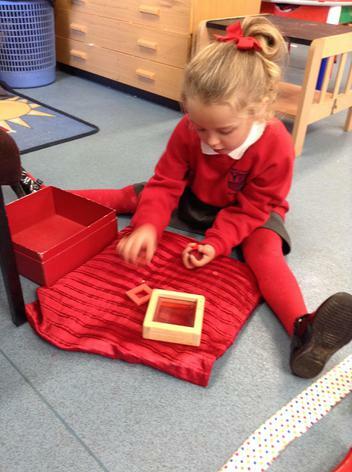 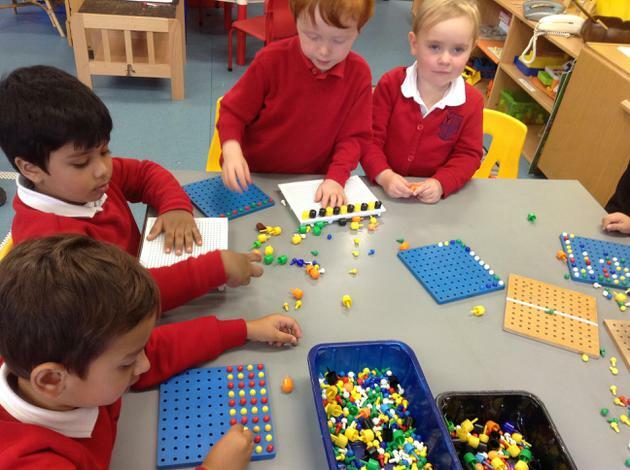 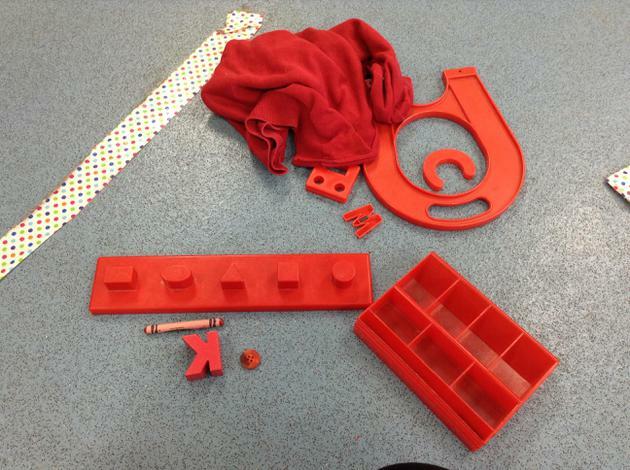 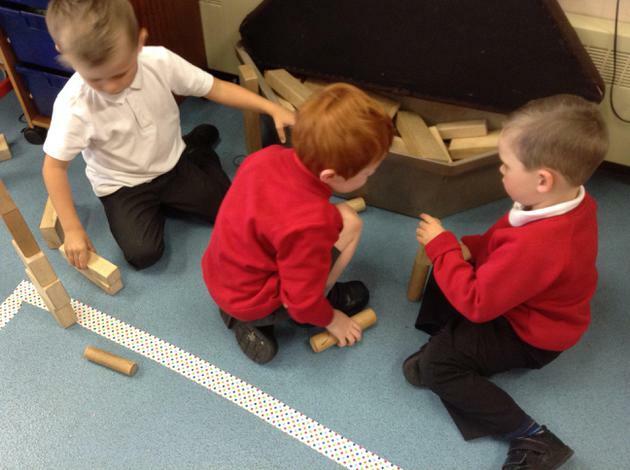 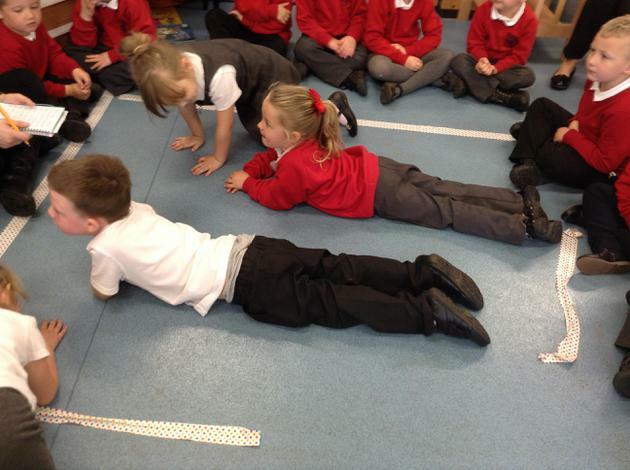 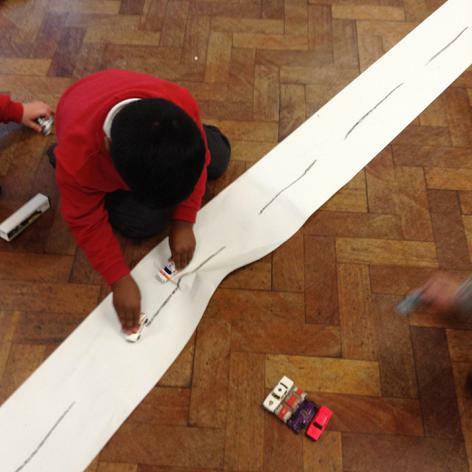 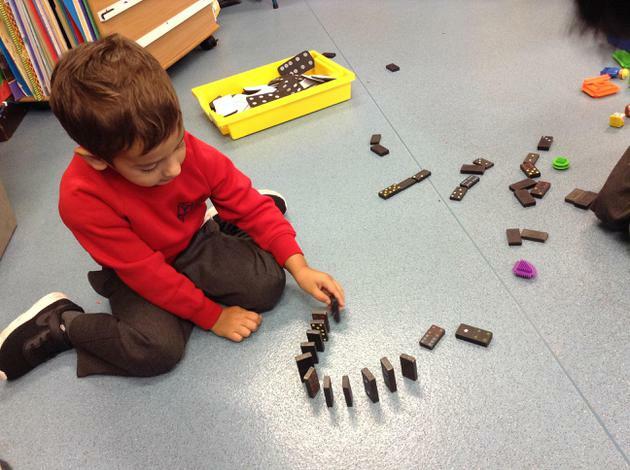 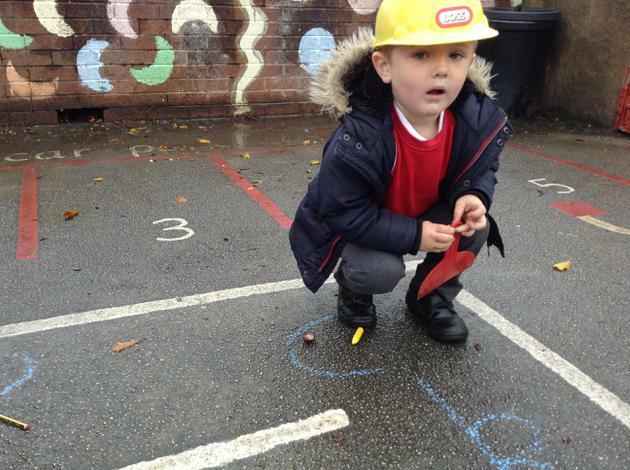 ( Nursery- numbers 1-10) Sometimes, it is difficult to remember what numbers look like, so we have been using number cards and number lines to help us. 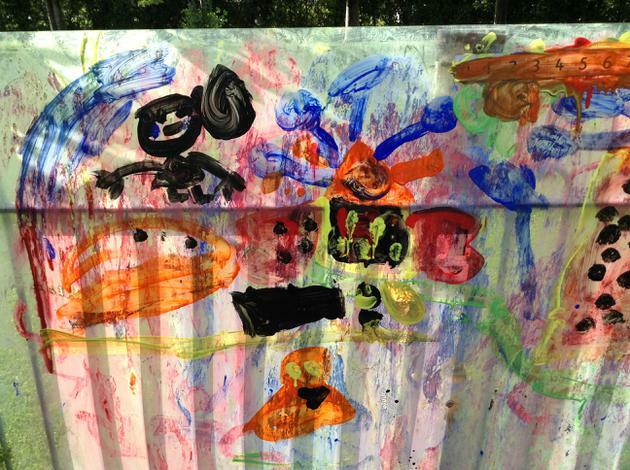 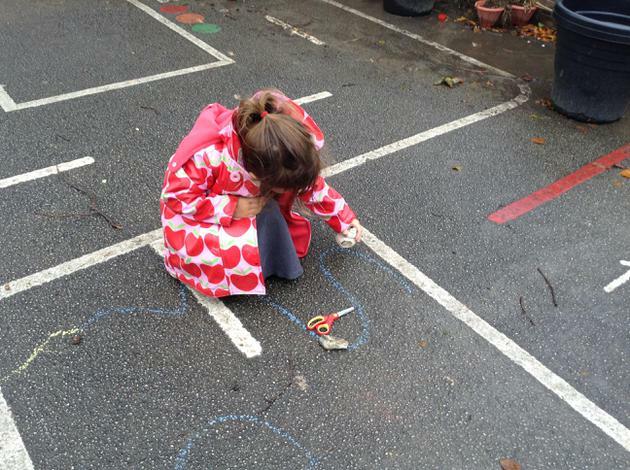 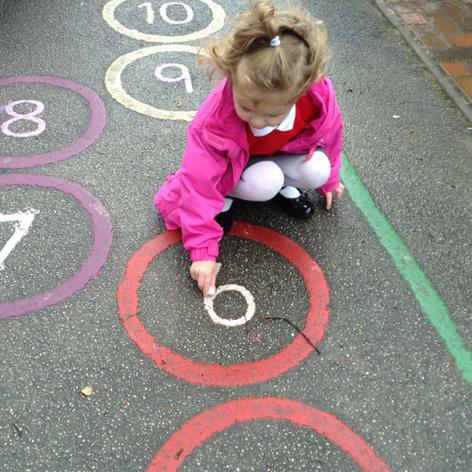 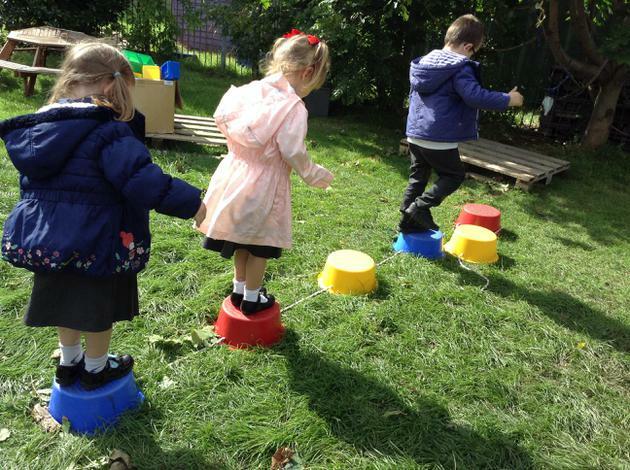 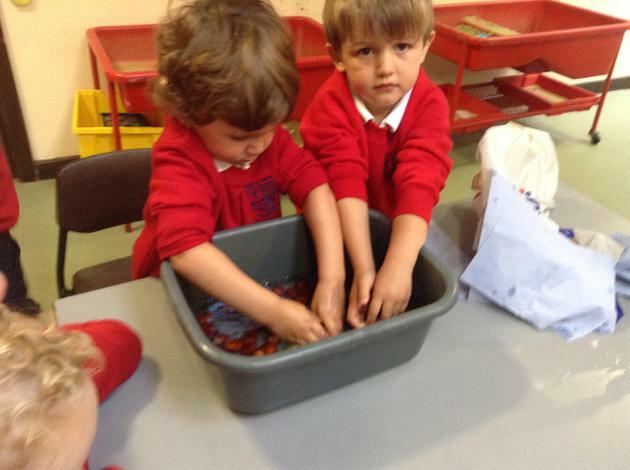 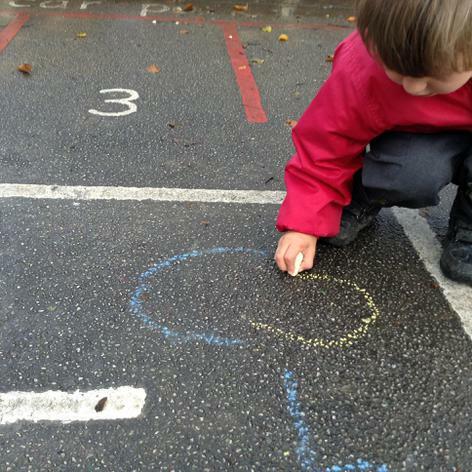 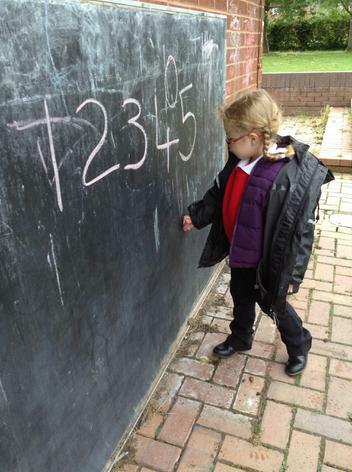 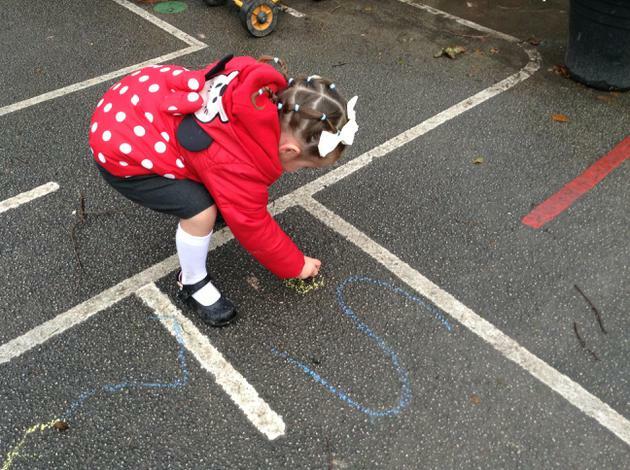 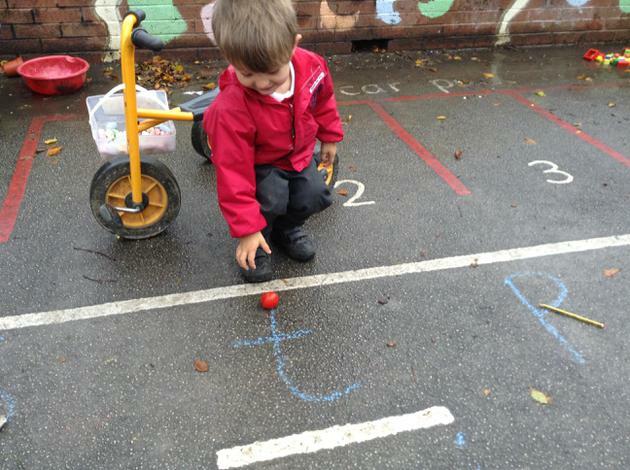 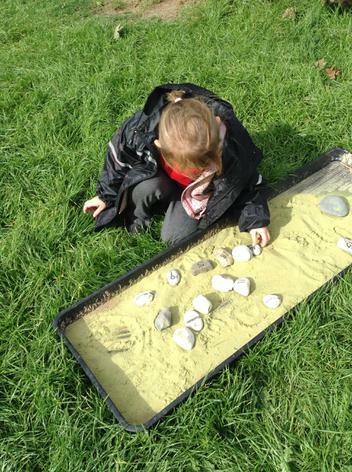 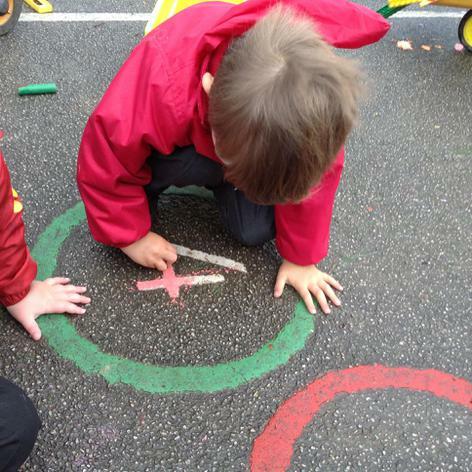 We've been writing numbers with lots of different materials, in lots of different places, for instance: with chalk in the Nursery yard, in the sand with our fingers, on the Perspex wall with paints. 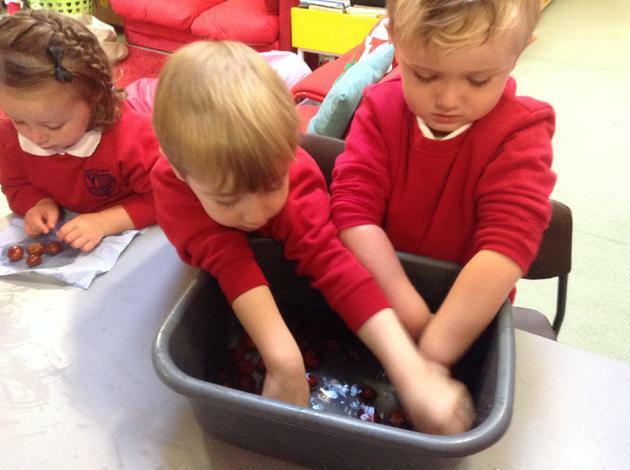 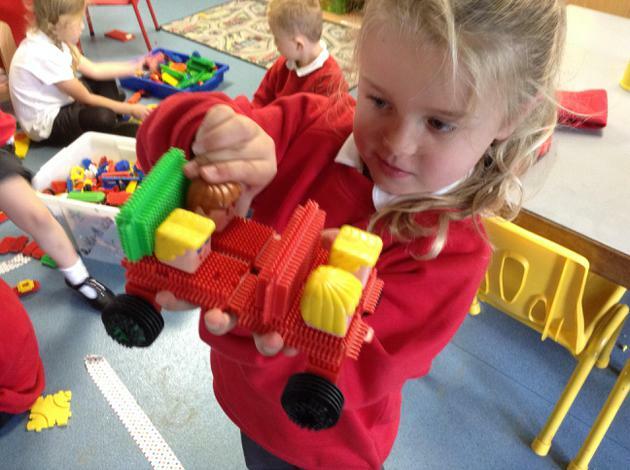 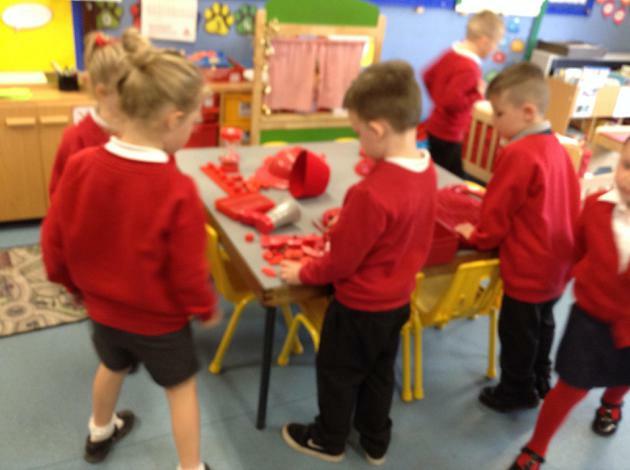 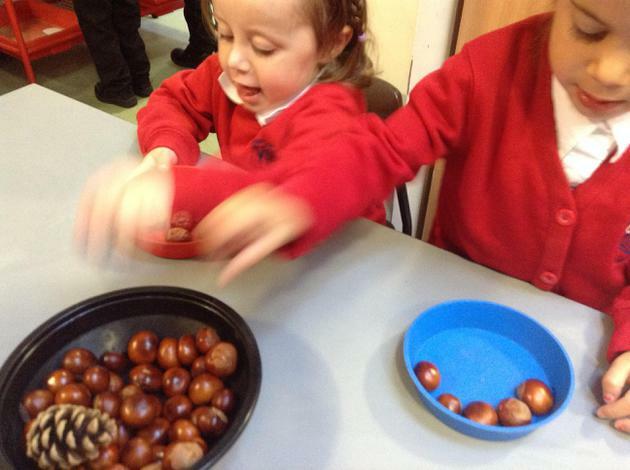 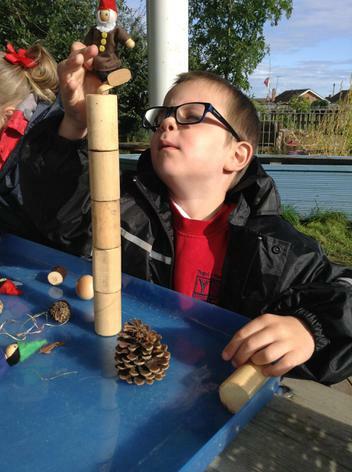 We have been counting all sorts: conkers, buildings in Bodelwyddan, red things we collected, block towers and different types of transport. 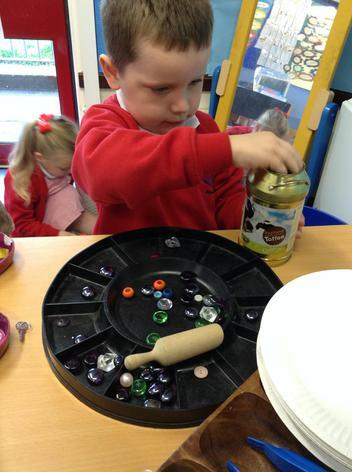 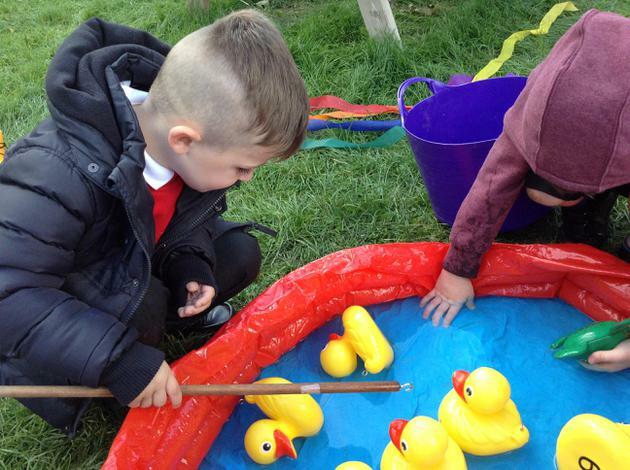 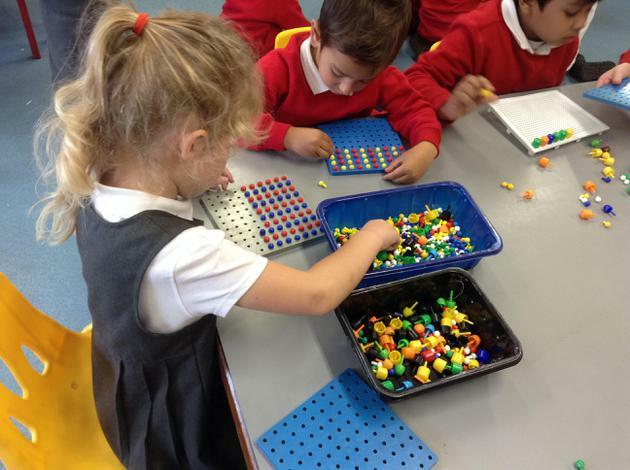 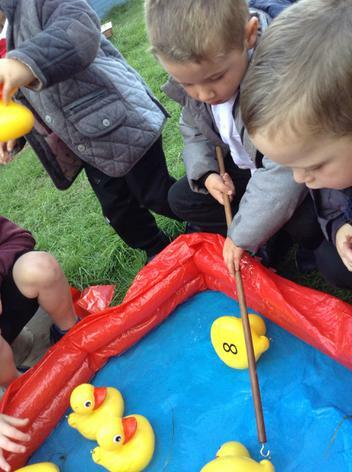 We've been hooking ducks with numbers on, sorting and ordering number stones and trying to recognise numbers in all our learning areas. 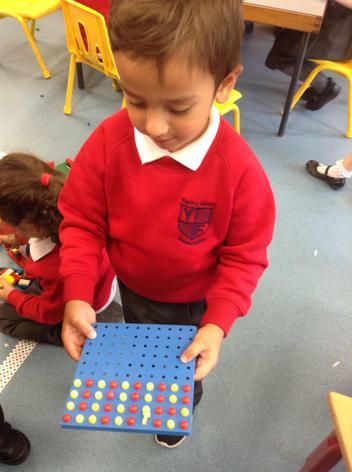 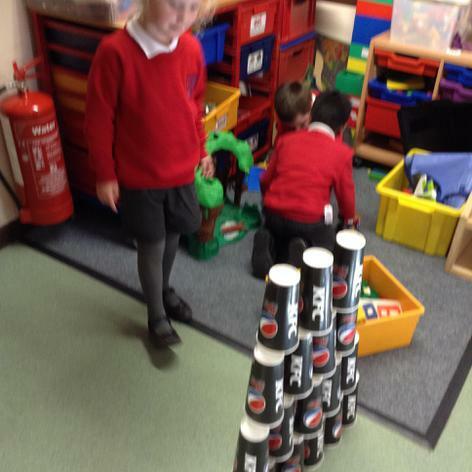 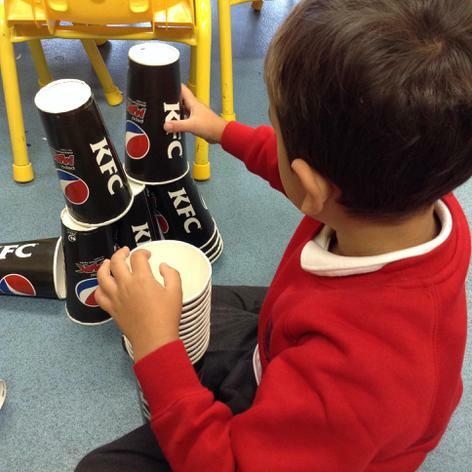 We have done a bit of pattern work too! 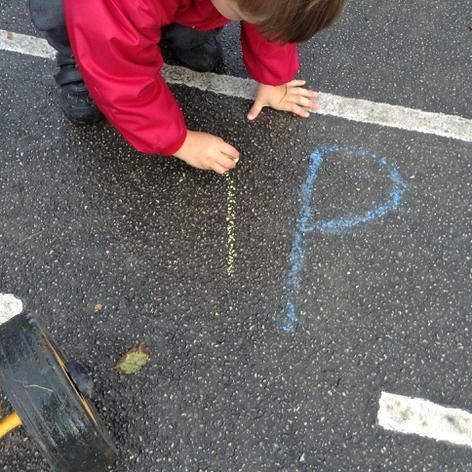 All of us have been practising our phonics, learning a letter a day. 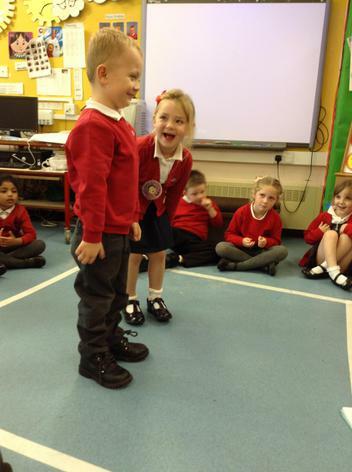 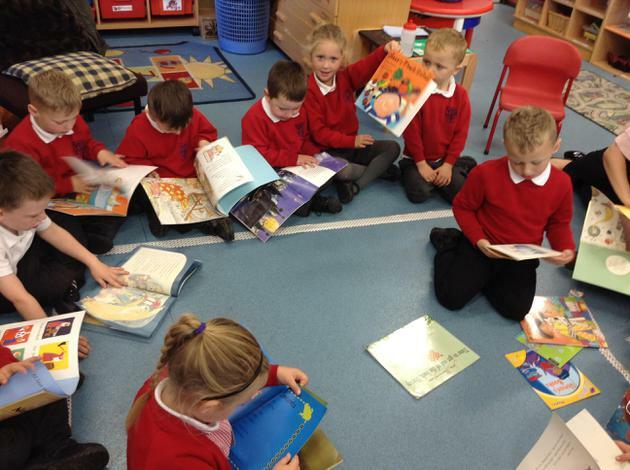 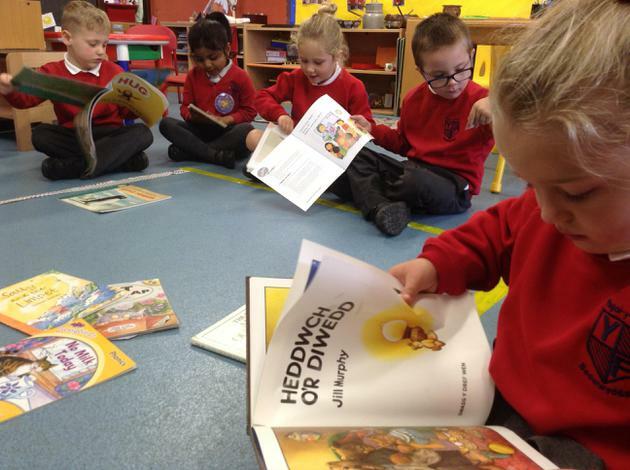 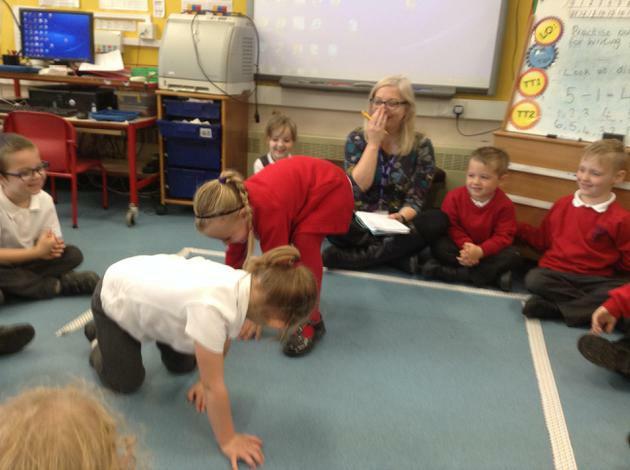 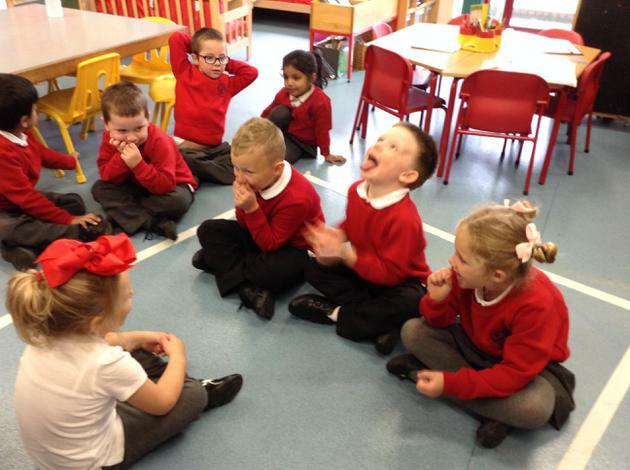 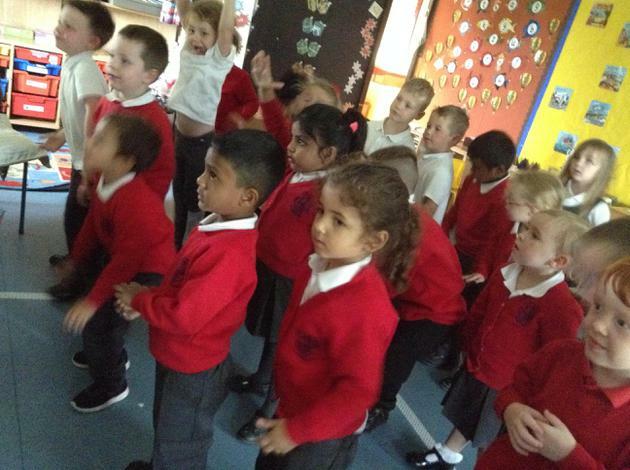 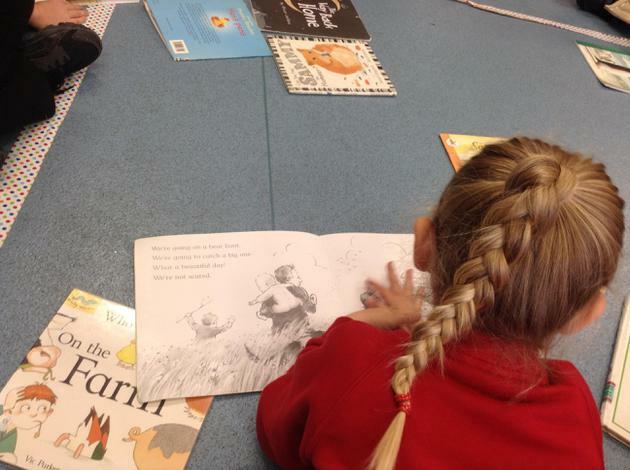 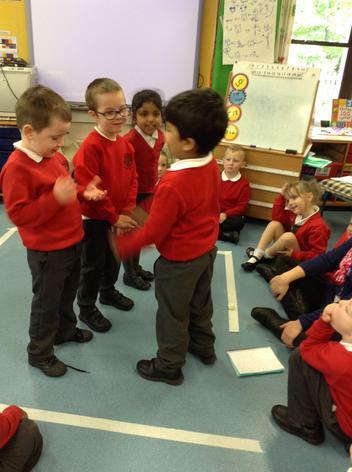 Some of us have been practising our Talk4Writing story and lots of us know all the actions and most of the words. 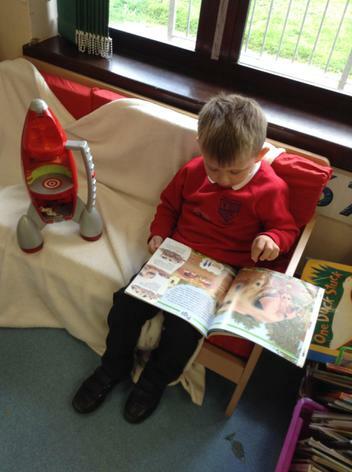 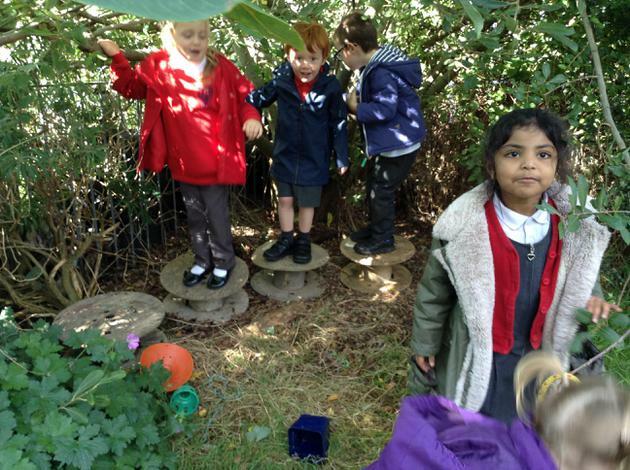 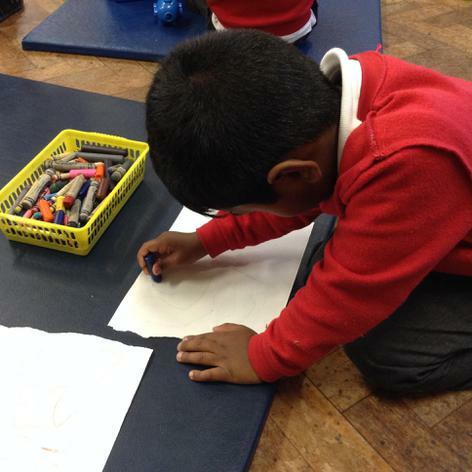 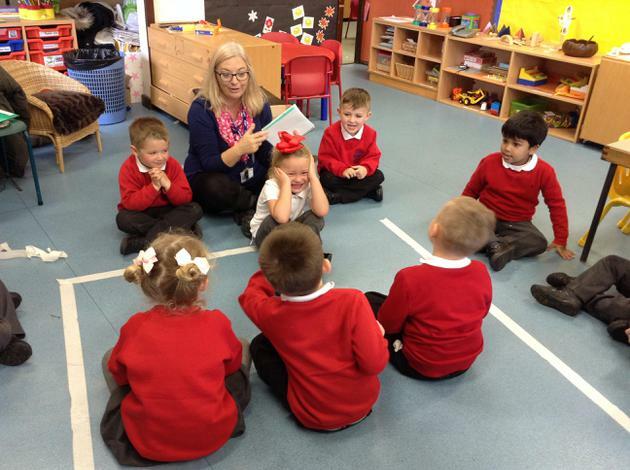 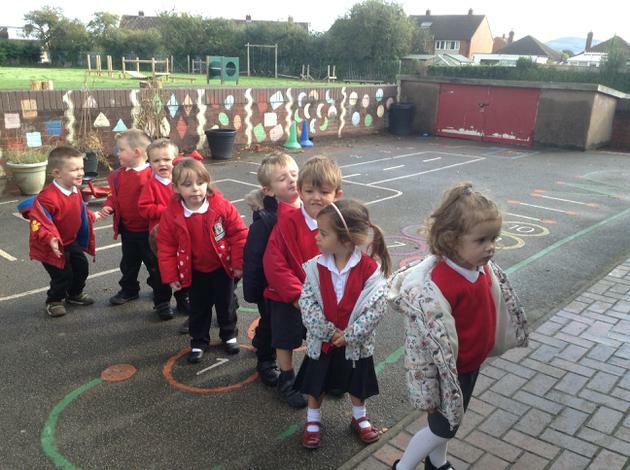 In Reception, we have started to tell our teacher our own stories, she writes them down in a book and then we act them out. 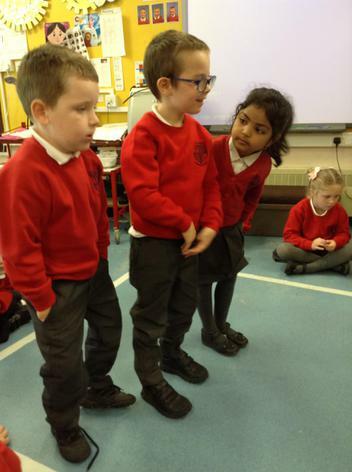 We are brilliant story tellers and hilarious actors. 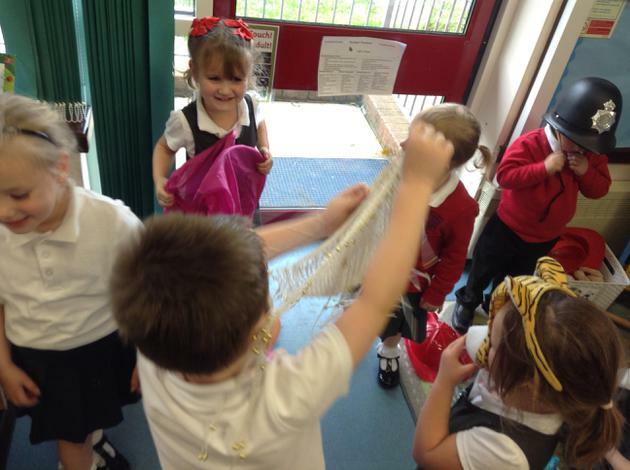 We have had a lot of fun. 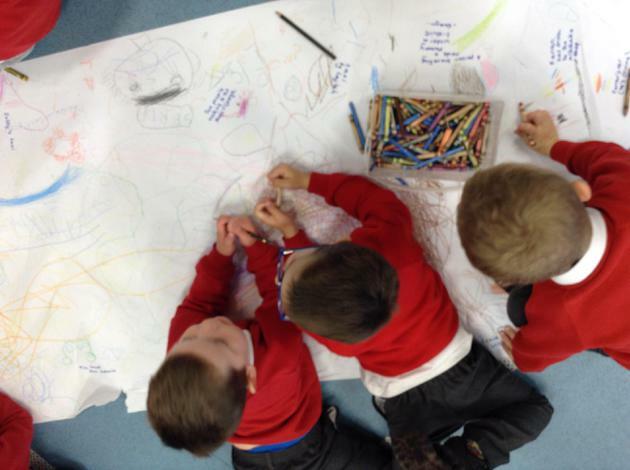 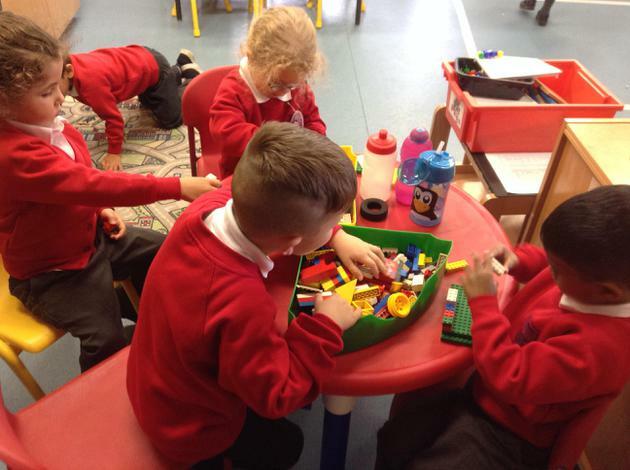 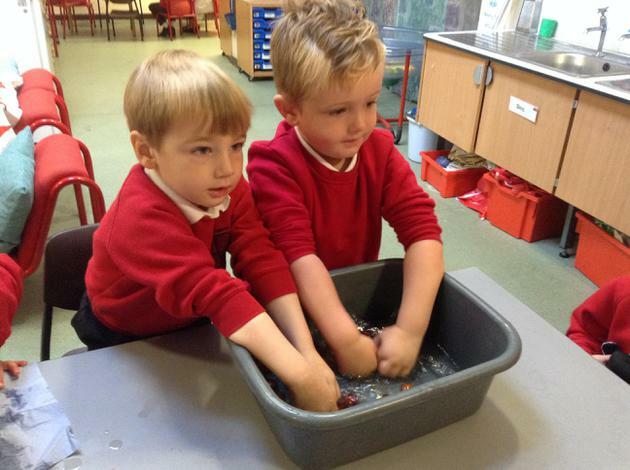 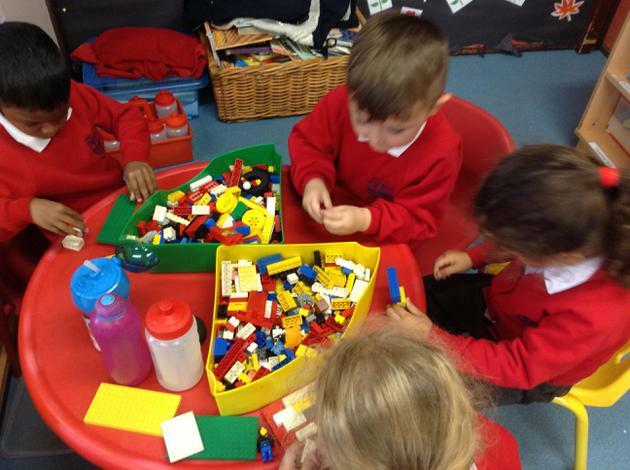 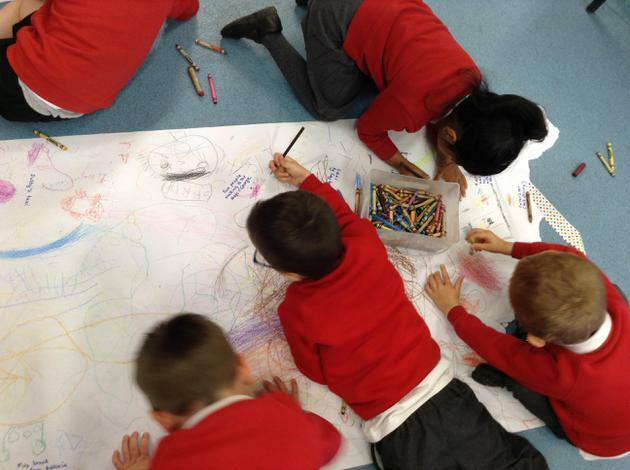 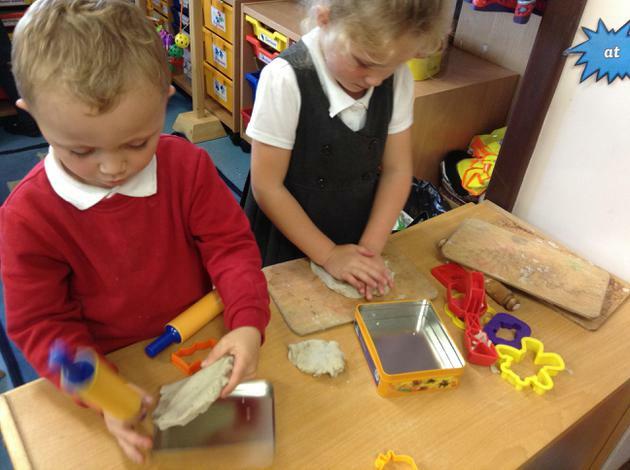 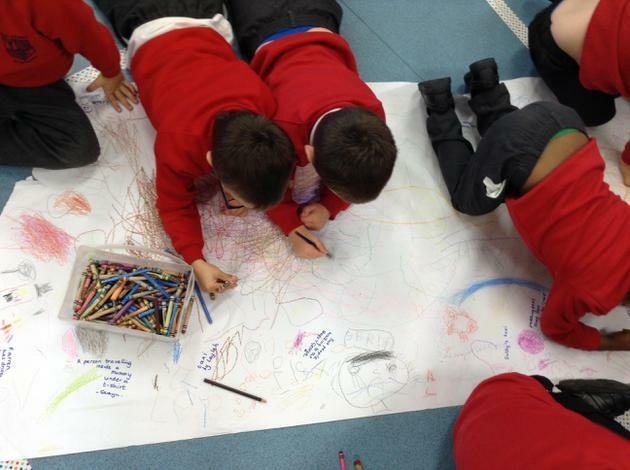 We have had lots of time to choose our own activities and the teachers have been asking us what our favourite things are, in order to make sure we learn and enjoy school. 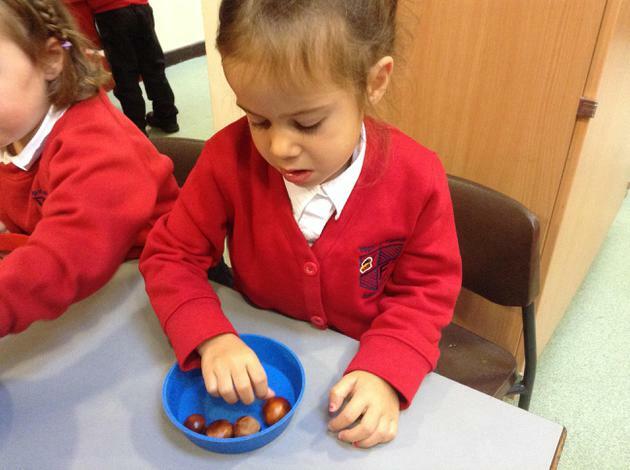 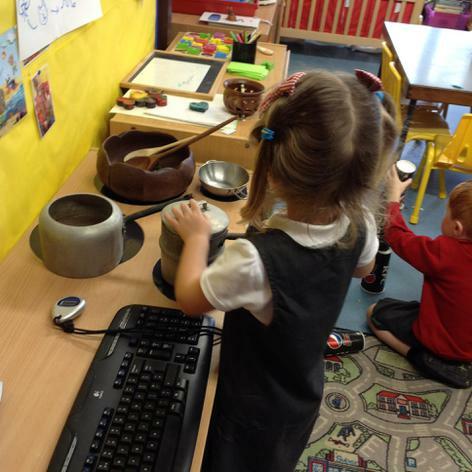 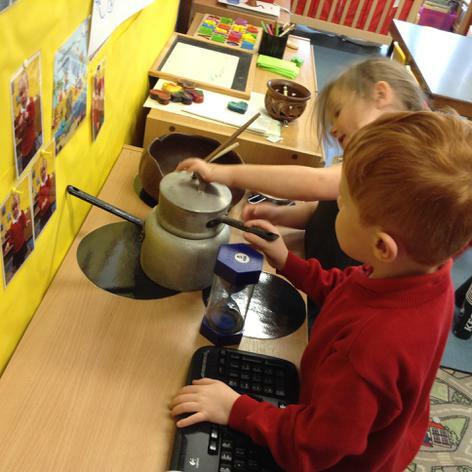 Lots of us have been 'cooking' and feeding Ms Jones 'cakes' and 'sausages'. 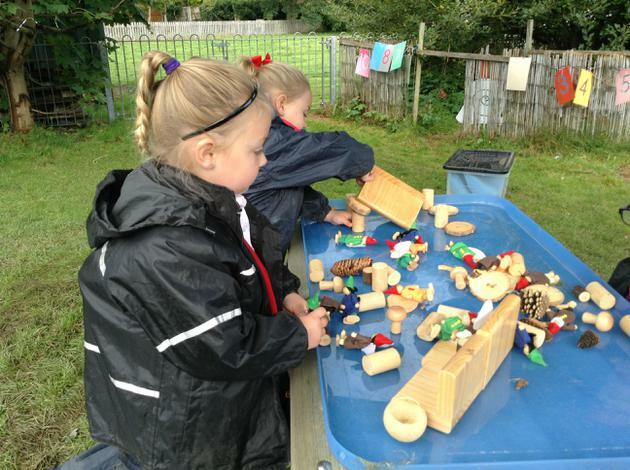 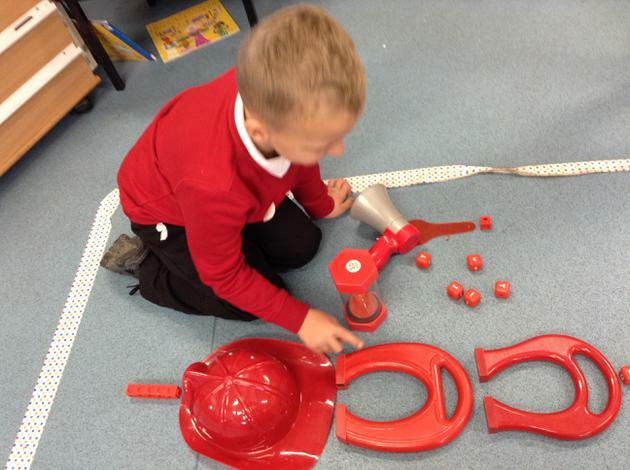 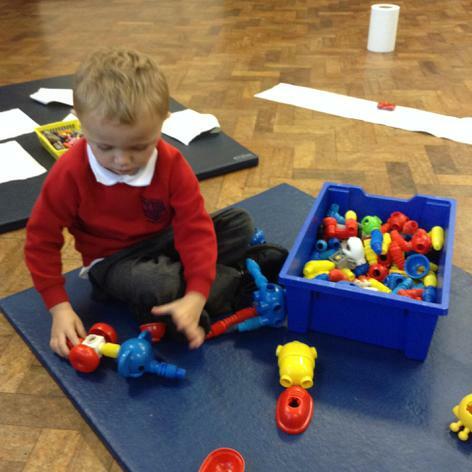 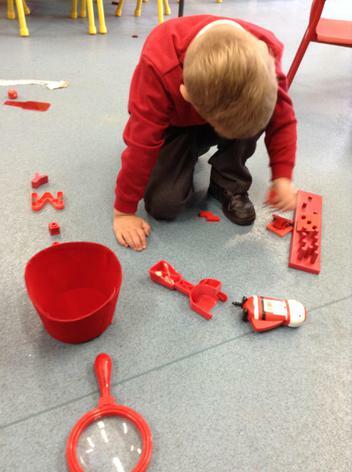 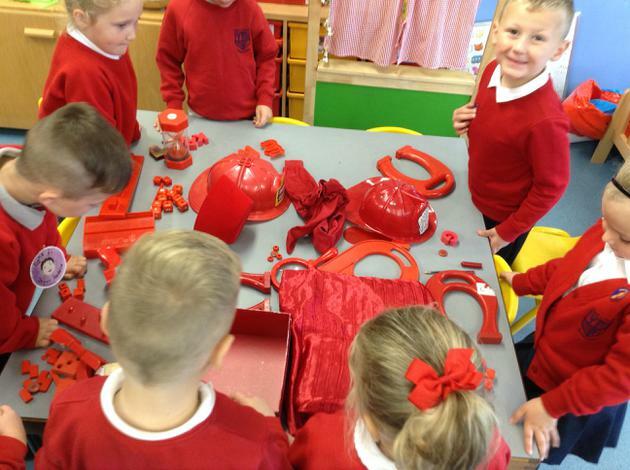 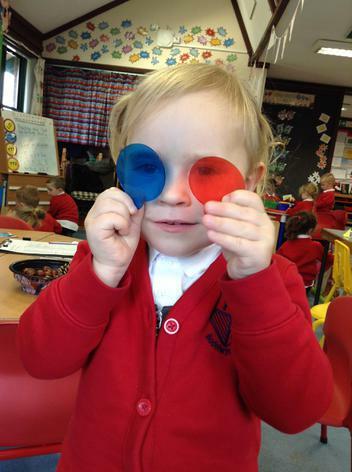 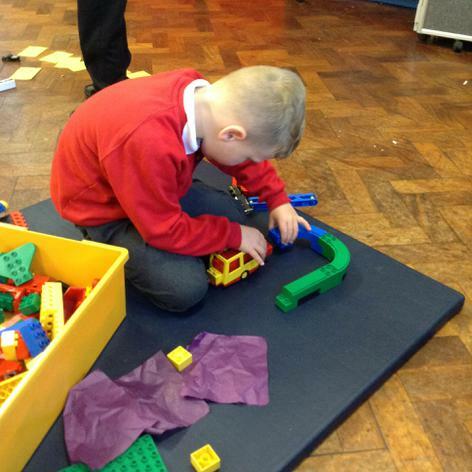 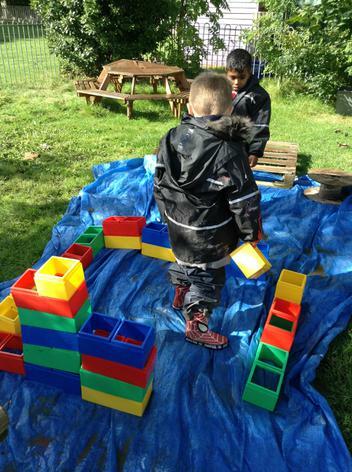 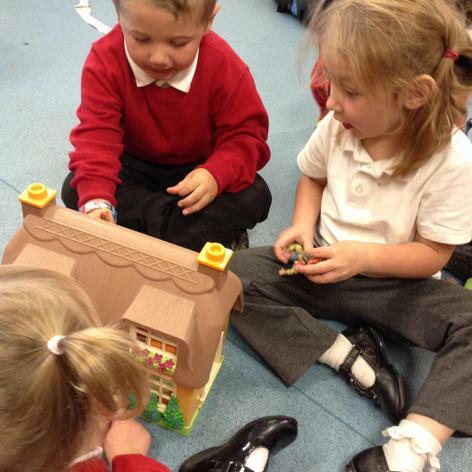 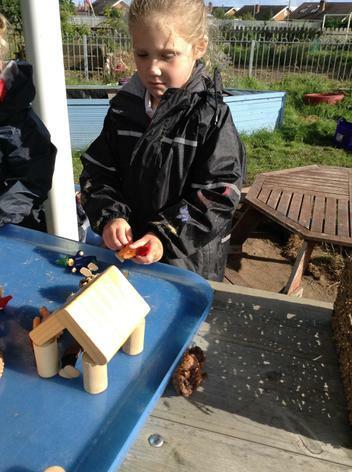 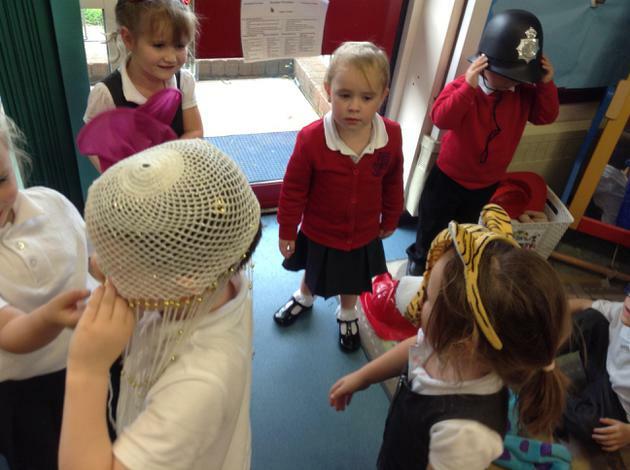 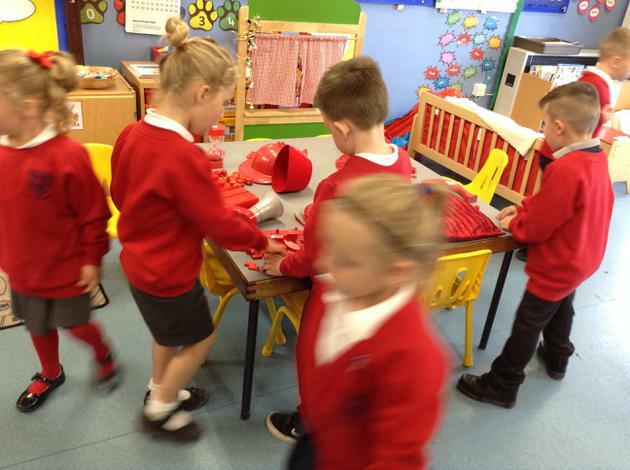 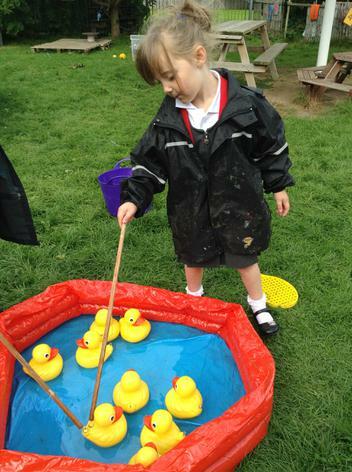 The role play costumes have been very popular this week as have the construction toys and play dough. 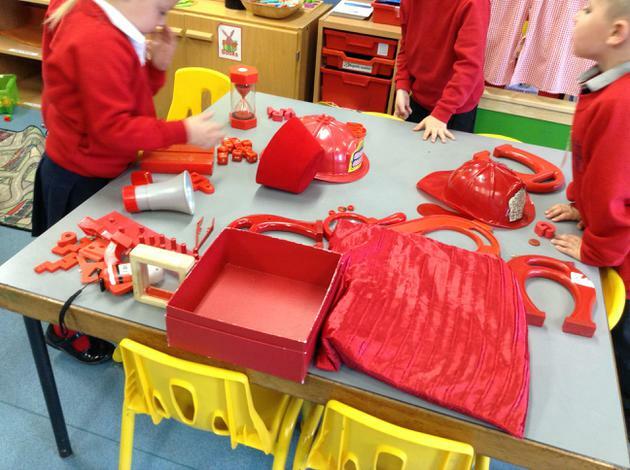 As usual-we've been very busy!